Wise words and solid advice from BJ Miller, who thinks deeply about the end of life as head of the Zen Hospice Project. Death is an uncomfortable topic. Although we’re well-acquainted with platitudes that remind us to seize the moment and live each day like it’s our last, few of us devote real time to envisioning the end of our lives — or the lives of those we love. In contrast, this is a focal point for BJ Miller, palliative care physician and executive director of the Zen Hospice Project, a San Francisco-based nonprofit that’s focused on improving our experience of death. 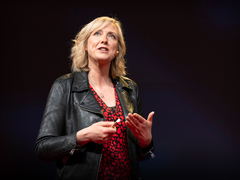 His TED Talk, What really matters at the end of life, prompted such an outpouring of response that we hosted a Q&A on Facebook to hold a larger conversation about end-of-life care, dying with dignity and providing support for patients and families. Here are just some of the questions — and Miller’s answers. Based on your experiences, what do you find that most people really want at the end of life? – Emilie S.
In general, people yearn for comfort, for their loved ones to be well cared for, to be unburdened and unburdening, to find some sense of closure and peace. But those are generalities and I would encourage all of us to remember that dying people are living and to treat them accordingly. There is so much room for personal preference. What are good ways to talk to kids about death? – Michelle Q.
It’s important to remember that kids are not just miniature adults. This big topic, like others, needs to be couched in their developmental stage. In general, it’s helpful to avoid euphemisms or overly indirect language. Kids are generally much straighter shooters than we adults. There is a field called Child Life Services that has a lot to say about this subject and can be a great resource. Be good to yourself and don’t lose yourself in the role of caregiver. People often say they don’t like hospitals; that mental block keeps them from spending time with someone they care about at the moment they need it most. What advice do you have for people who have a loved one in a hospital? How can each of us make that space kinder and better for the senses? – Kate T.
Little things go a long way. Bringing in photographs, familiar objects, flowers are, in my book, always wonderful. Of course, you can always bring in fresh baked cookies — even if your loved one can’t eat, engaging the senses can be potent. Those are some ideas around the external space. Of course, it’s always helpful to cultivate internal spaciousness by being a source of calm. Death is a hard subject to talk about. How do we talk about this with our families so we can plan? – Danny K.
Several US-based organizations come to mind, including the Conversation Project and the Coalition for Compassionate Care of California. Another tool that people seem to love is the card game, My Gift of Grace. At Zen Hospice Project we also proudly host “death cafes” as a social engagement, and also offer a mindful caregiving program for anyone involved in facing the challenge at end of life or anyone interested in exploring more about this topic. How does a non-clinical person learn how to care for others at the end of life? It seems like many of us will be in that position. – Don D.
This is exactly why we created the Mindful Caregiving education program at Zen Hospice Project. Estimates are that nearly one third of American adults will either need to receive or provide care to a loved one. We realize there are very few resources to support family caregivers and “informal caregivers” and that the work can be grueling. Zen Hospice Project’s educational curriculum is uniquely designed to enhance and support the wellbeing of both the patient and the caregiver. The program’s balance of social, medical and spiritual practices enables formal and informal caregivers, doctors, nurses and administrators to experience compassion and resiliency at the bedside while reducing burnout and enhancing care. The single most important thing you can do is to name your proxy. Do you have any advice for caregivers about how they can take care of their own mental health? – Ella C.
We know from studies what works. There are two major themes for self care: one is some reflective practice, whether yoga or meditation or walking in the woods; the other is some sharing, talking, processing with people you know and trust. Especially with people who do similar work. Beyond those two major points, I would add to be good to yourself and don’t lose yourself in the role. What do you think about end of life dialogue being considered as a physician-reimbursed service in the United States? Given your experience, what do you think are the most important pieces of the conversation? How could physicians be better equipped to have this conversation? How could mindfulness training inform this service? – Liz M.
I’m very excited about this new legislation, both practically and symbolically. The key points are to have an open and ongoing conversation with your physician as well as your family or proxies. In fact, I think the single most important thing you can do is to name your proxy, because the situation needs to be read in real time. Remember this is not a single conversation but one that requires updates over time. Training clinicians to have this conversation is another matter and requires time: I recommend reading Atul Gawande’s book, Being Mortal, as a great resource. Insofar as mindfulness allows us to be more present in difficult situations, it can help set the stage for a more fruitful conversation. Do palliative health centres offer psychological or other support for families after a loved one has passed? – Kasia S.
All certified hospice agencies are required to offer bereavement services to their communities. Admittedly, these services are poorly funded and generally underdeveloped. There is so much more work to be done helping families process what’s just happened and also to protect the new tenderness they may feel as they head back into the world. On an individual basis, many psychotherapists specialize in grief counseling and can be wonderful resources. On our way to developing more formal programs, we happily receive family members long after the death of their loved ones to revisit the house and the Zen Hospice community. Can you offer resources for education material, guides for conversations and so on in languages other than English? – Julien G.
A great place to start would be to reach out to your local hospice or palliative care organization. You may also check with the National Hospice and Palliative Care Organization, the Center to Advance Palliative Care or the American Academy of Hospice and Palliative Medicine. You are pointing to a real need for cross-cultural understanding on the subject. Editor’s note: both questions and answers were lightly edited for clarity. Illustration by Maya Sariahmed/TED.